I love wrestling with my family. I especially enjoy it when we do it in food, with my personal preference being piping hot gravy, it makes my dad taste real nice. 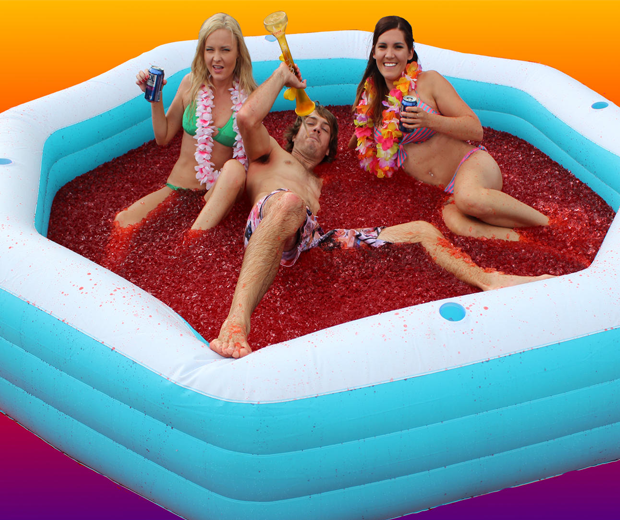 Equally good to wrestle in is Jello, which you can now buy from Jello Wrestling Supplies. 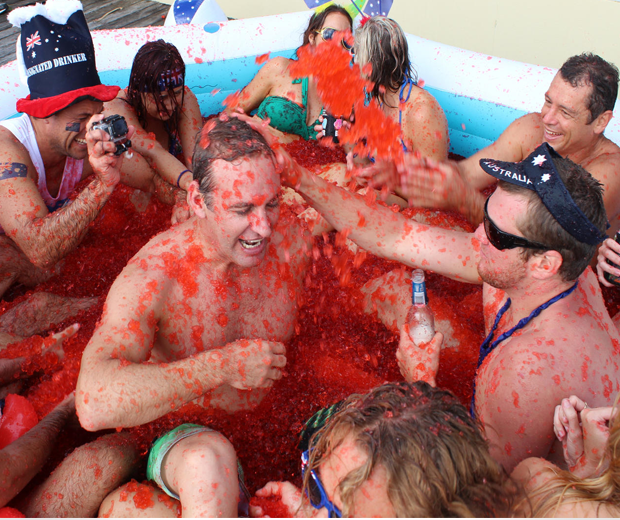 Each package they sell can make 100 gallons of jello, which is enough to create a whole summer of slippery misunderstandings. 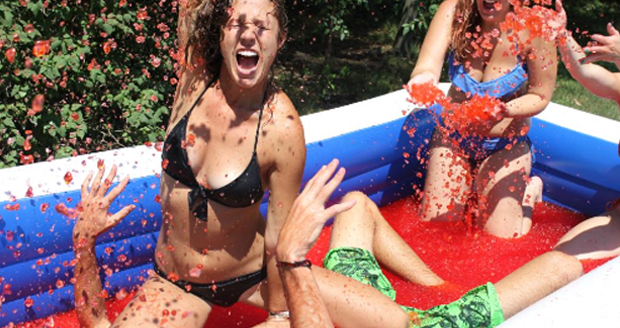 Coming in orange, red and green, the jello is biodegradable, non-staining and non-toxic. It isn’t supposed to be eaten, as I imagine it tastes of nothing, but if you swallow some you won’t die. Strangely those are the same words I said to my first girlfriend. She’s dead now. Here’s a thought, buy a load of whipped cream and cake to throw into the mix. Trifle wrestling? My god, I’m a genius.